Rose Howard is obsessed with homonyms. She's thrilled that her own name is a homonym, and she purposely gave her dog Rain a name with two homonyms (Reign, Rein), which, according to Rose's rules of homonyms, is very special. Not everyone understands Rose's obsessions, her rules, and the other things that make her different – not her teachers, not other kids, and not her single father. When a storm hits their rural town, rivers overflow, the roads are flooded, and Rain goes missing. Rose's father shouldn't have let Rain out. Now Rose has to find her dog, even if it means leaving her routines and safe places to search. Hearts will break and spirits will soar for this powerful story, brilliantly told from Rose's point of view. 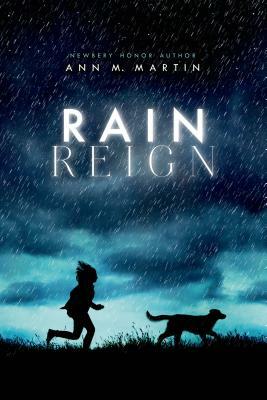 Ann M. Martin is the New York Times-bestselling author of Rain Reign and many other award-winning novels and series, including the much-loved Baby-Sitters Club. She lives in upstate New York.